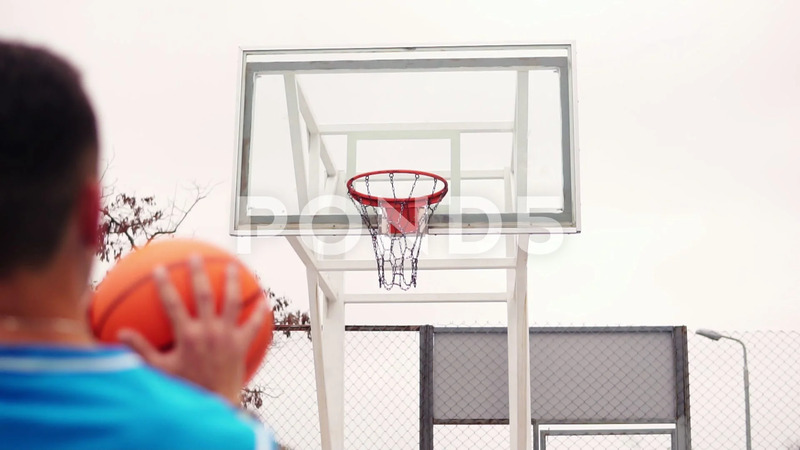 Description: Throw in a basketball hoop, the ball hits the ring and flying through the net. Slowmotion shot. Back view of unrecognizable player.